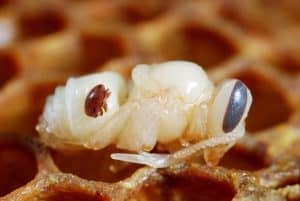 The arrival of Varroa mites (Varroa destructor) from Asia in the 1980s marked a turning point for beekeeping in North America and Europe as it is considered one of the main causative factor of honey bee loss. Today, this type of mite can be found in almost every apiary (a place where bees are kept) in Europe. Other secondary diseases like Nosema parasite (Nosema apis), virus infections, or foul brood, may also damage colonies during spring and summer. Due to the lack of largely available veterinary treatments, parasites and diseases commonly affect these bee populations. How does Varroa operate in a hive? It is an external parasite that attaches to the body of honey species, and breeds within the colony by laying its eggs within capped brood and feeding on the larvae. Varroa destructor is a known disease vector, which causes brain development disorders. 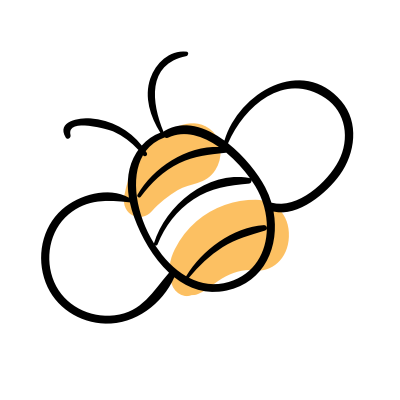 Depending on climate conditions, the damage caused by Varroa appears from autumn to early spring during the overwintering phase, leading to general weakening and often complete losses of colonies. A Varroa mite on a bee larva. Varroa destructor in elevated levels of infestation not only can be a direct cause of colony loss but also a vector of several viruses. Although bee viruses usually persist as an unapparent infection and cause no overt signs of disease, they can dramatically affect honey bee health and shorten the lives of infected bees under certain conditions. Even with proper management it is impossible to keep apiaries 100 % free from Varroa mites. Apart from Varroa destructor and associated honey bee viruses, there are many other pests and diseases that may cause harms to colonies including Nosema parasite, bacterial infections like European and American foul brood, tracheal mites and fungal diseases. 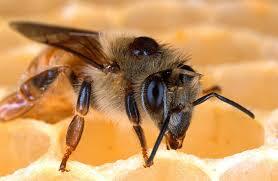 In contrast to Varroa, Nosema, virus infections or foulbrood may damage colonies also during spring and summer. For now, the focus of most of disease research concentrates on honey bees. As a result, we have a large knowledge gap concerning the incidence, causes and effects, as well as remedies for diseases in wild bees. Wild bees and bumble bees have their own unique pests and diseases, e.g. the microsporidium Nosema bombi in wild bees and the nematode Sphaerularia bombi in bumble bees2https://www.ncbi.nlm.nih.gov/pubmed/18819674. What is the bee space?